The customized speed bike of Sebastian ErraZuriz is a functional racing bike that is also a fetish object stripped down to its sculptural framework. A masculine symbol of power and freedom, the motorcycle also functions on the boundary of fragility and fatality--between the epic tagline living fast and dying young. 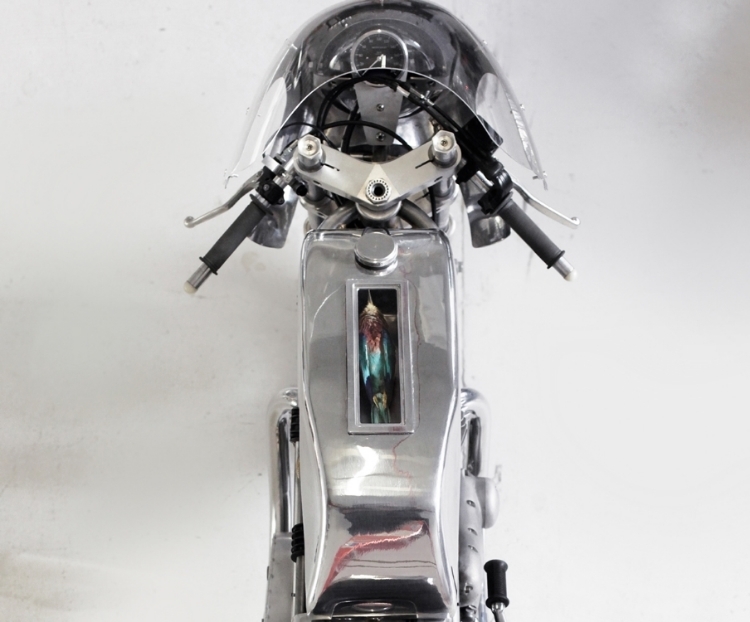 ErraZuriz has inserted a taxidermy bird inside a glass vestibule in the motor of the bike, the body which the rider straddles. Under the tank, the bird lays as if in a metal and glass coffin, functioning like the heart of the object, and as a symbol of awareness to nature, death, and fragility of the body. The bird decontextualizes the bike from its function, making death a core element. 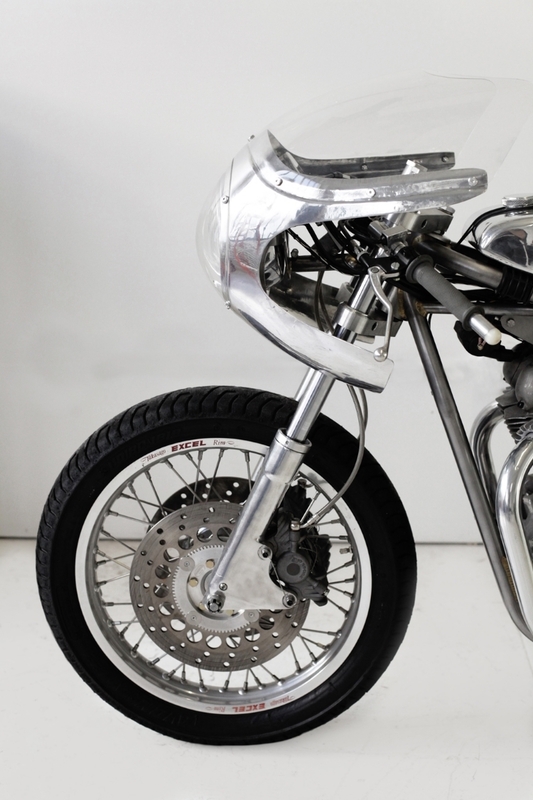 The Motorcycle was produced by Worth Motorcycle Company and built by the incredible team at NYC Norton who offered all the technical and constructive support to create Sebastian ErraZuriz's unique design.This project was made possible thanks to the generous support of motorcycle collector John Magyar. A portion of profits will be donated to Worth Motorcycle Company, a nonprofit organization teaching NYC’s at-risk youth the art of vintage motorcycle restoration.